Silverite is known to handle any size or type of heavy construction, including complex structures demanding special skills. We have proudly earned our reputation for the highest quality workmanship which is unsurpassed in the industry. Our projects are consistently completed on or ahead of schedule. These qualities have led to our recognition as a leader in integrity and service by our clients and by the nation’s construction industry. Silverite’s experience is unparalleled and few companies are as practiced and proficient in managing large-scale, heavy construction projects. 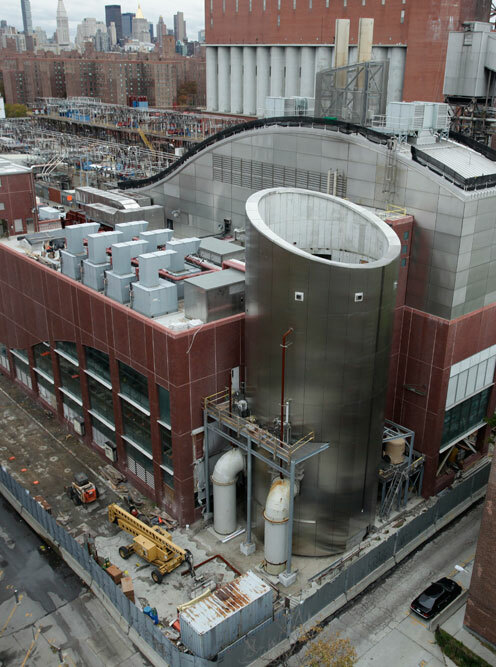 The wealth of experience of our senior management combined with our extensive technical expertise has earned us a special niche in New York’s highly competitive construction industry. Silverite was founded in 1964 and, every day since then, has been expanding upon its expertise in underground excavation and concrete structures. We have met the special demands of competition in the public sector by serving as general contractors for municipal, county, state, and regional public agencies and are happy to announce that we are now expanding and making our services available to quality-oriented private owners! Our multi-million dollar portfolio includes diverse projects including public recreational facilities, schools and libraries, police and fire stations, private institutions, bridges and tunnels, and critical environmental protection projects requiring advanced construction techniques. This practical experience provides the foundation for our drive to find innovative solutions to today’s construction challenges, including more efficient building techniques and advanced methods of managing materials and personnel. Overall, Silverite’s innovative spirit and technical know-how enable us to handle demanding assignments and operating conditions that exceed the limits and resources of ordinary construction companies. We are confident that, with Silverite, you will get the best quality work for the best price. While Silverite may not always be the lowest bidder on every job, we are very often chosen by astute owners who recognize two crucial points: (1) Getting the job done “rite” the first time, and on schedule, will always save money; and (2) There are no shortcuts – inefficient, inferior workmanship is never a bargain. Our standards of speed and efficiency allow us to complete 100% of jobs are completed on/ahead of schedule. We are committed to providing our clientele with unparalleled service from start to finish. Engineering News Record has named Silverite as one of the Top 200 Environmental Firms and one of the Top 400 Construction Firms. Our commitment to quality and service is due to our strong integrity and passion as a company. We take pride in each and every job we perform, regardless of size or difficulty. This has resulted in an outstanding record of growth and everlasting stability as a company. Silverite’s reputation, experience, and standards have positioned us perfectly for further expansion as an industry leader and we invite you to be a part of this exciting journey by reaching out to our senior managers. Find out how our standards and experience can work for you!